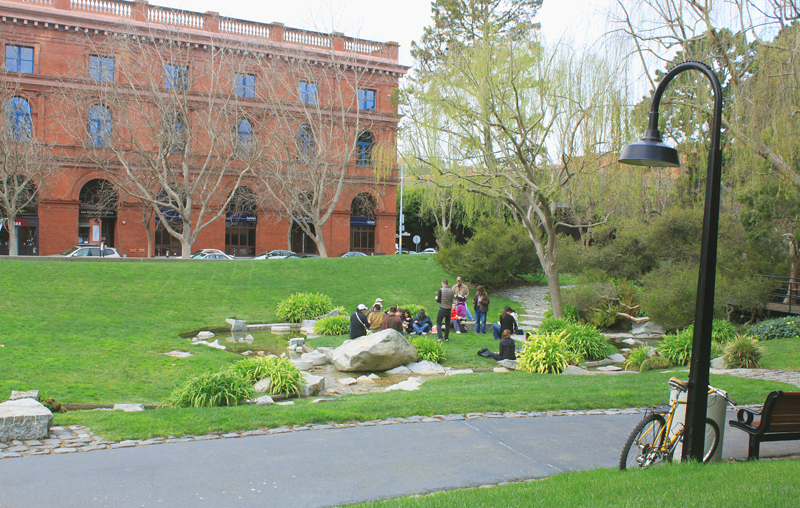 Next Sunday the 22nd, Anita will be leading a bicycle tour of a few landscape architecture projects in San Francisco. The tour goes to two hugely influential and historic projects, Levi’s Plaza pictured above, and Crissy Field, along with several other compelling spaces. You may already know these places, but this is your opportunity to see them with a beautiful and knowledgeable guide. This entry was posted on Wednesday, April 18th, 2012 at 7:05 am and is filed under miscellaneous. You can follow any responses to this entry through the RSS 2.0 feed. You can leave a response, or trackback from your own site. What a great idea! I wish it wasn’t Going Native Garden Tour day, but I’m not going to pass up on the opportunity to see some gardens this year. Have fun!